From a young age I was fascinated by my Father’s jewellery workshop and all the amazing pieces of jewellery he would bring home to show me, but most impressive was the fact that he had actually made them all himself by hand. 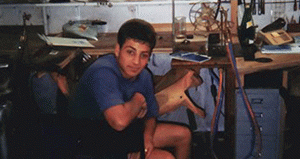 I have so many great memories of visiting my Father’s workshop as a young boy. After school or in half-term I would hop on the tube, find my way through the winding back streets of Farringdon and enter a labyrinth of old Victorian looking workshops. Eventually, I would go up the steep stairs of my Father’s building and enter a hive of activity, I would always be in awe of these older guys crashing away with hammers or melting up gold. The highlights of those trips were being allowed to stretch an old 2 pence coin or just basically bash something with a hammer! 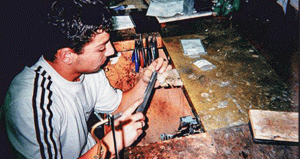 At the age of 17, I decided to follow in my Father’s footsteps and embark on making a ring myself. 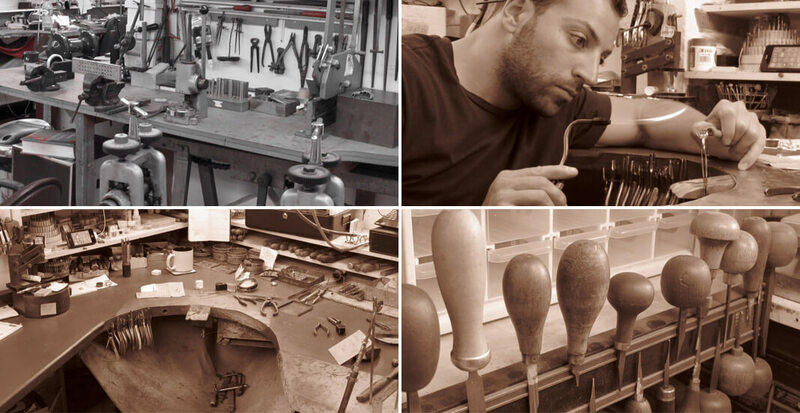 I instantly fell in love with the workshop atmosphere and the satisfaction of creating beautiful pieces of jewellery, it a labour of love that I’d never leave. 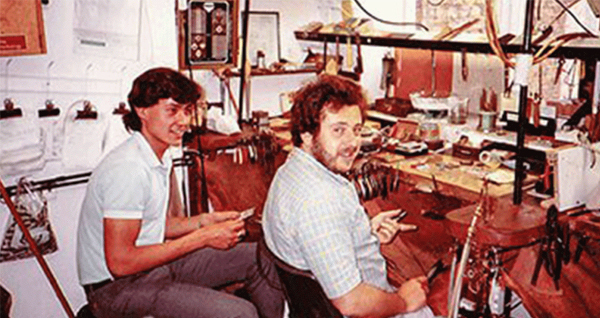 Eventually, my father decided to offer me the chance of doing a 5-year jeweller’s apprenticeship within his company and under his (sometimes strict) watchful command. 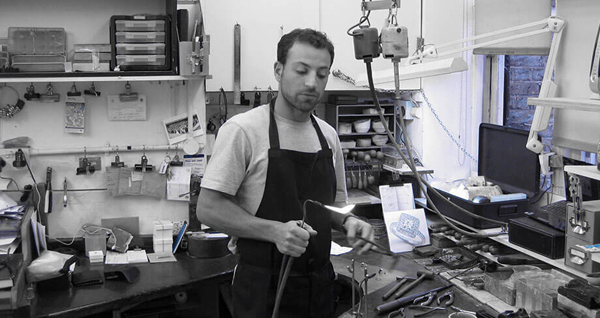 10 years later I felt that he had learnt enough to start my own company and began specialising in one-off bespoke pieces for private clients and high-end boutiques. After 20 years in the jewellery business, I can genuinely say that I still get immense pleasure delivering that one piece of jewellery that remains with someone forever and even for generations to come.